1993 Adopted the Law of the Republic of Kazakhstab "On Universal Military Duty and Military Service"
Adopted the Law of the Republic of Kazakhstab "On Universal Military Duty and Military Service"
The Law of the Republic of Kazakhstan "On Universal Military Duty and Military Service" was adopted on January 19. This law defined the military ranks in the newly created Armed Forces of the country. They repeated the system ranks of the USSR Armed Forces. The rank of the Marshall became the highest in the ground forces while the rank of Admiral in the navy forces (which did not exist at that time). In Kazakhstan, the rank of the Marshall has not been previously assigned. The rank of the General of the Army was first assigned in the same year of 1993 to the first Minister of Defense of Kazakhstan, S.K. Nurmagambetov. The second person who received this rank was the actual Minister of Defense, M.K. Altynbaev. 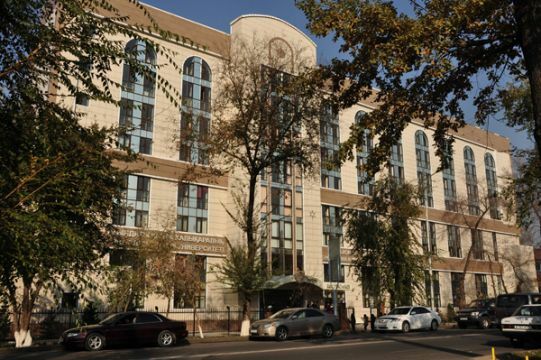 76 years ago the Kazakh State Pedagogical Institute of Foreign Languages (nowadays — the Kazakh University of the International Relations and World Languages named after Abylay Khan) was established. Today the university is one of authoritative educational and scientific complexes in Kazakhstan and abroad.